The Customize Windows > Computer and Internet > Cloud Computing > What is Data as a Service? Data as a Service (DaaS) is a business model in which data files like text, images, sounds, and videos are made available to customers over the Internet. Data as a Service (or DaaS) is a type of Software as a Service (SaaS) and does not fall among the regognized standard cloud computing business models. Like SaaS, DaaS based on the concept that the data can be provided on demand to the user via service-oriented architecture (SOA) and with the support of application programming interface (API). The phrase “data” is confusing as commonly data is used to point towards database. As Content as a Service (CaaS) is already existing phrase, there is lack of words to describe the delivery of webpage, image, videos from various sources via API. DaaS is also used phrase in the context of specific database service delivery, also Big Data as a Service is another closer phrase. Most of the publishers, organisations use data from self-contained repository, which require software specifically developed to access and view in human-readable form. With increasing number of bundled software with data packages another layer of interface probably required. These are collectively enterprise application integration (EAI) and commonly used to vendor-lock various mobile applications, specially paid video contents. The combined software/data package and EAI middleware increasing the amount of software to manage and maintain and develop applications by third party. Because of confusion of terminologies, EAI is commonly used terminology to point towards the particular type of service. Factually they are related in some way. DaaS is confusing to many as data actually can be structured or unstructured to cover all types of things. Benefits of DaaS are agility (customers feels a simplicity), cost-effectiveness, Higher control on data quality, Easy administration and collaboration, Cross-compatibility across diverse platforms and all the features of cloud computing. 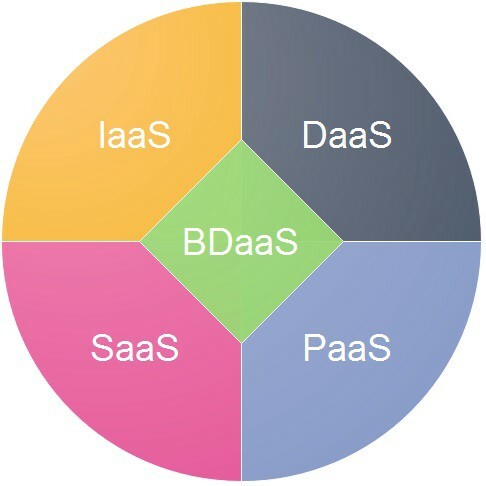 The drawbacks of DaaS is like that of SaaS model of cloud computing, but vendor lock-in and dependence on the provider is more intense. This Article Has Been Shared 3024 Times! Articles Related to What is Data as a Service? This article is for introducing the readers to the basics of DevOps. We have pointed how to create a successful DevOps team. APC is an Important Part For WordPress Like Web Software to Speed Up. Here is How To Install, Configure APC on PHP 7.2 on Ubuntu LAMP Server. Title: What is Data as a Service? Cite this article as: Abhishek Ghosh, "What is Data as a Service?," in The Customize Windows, March 29, 2019, April 18, 2019, https://thecustomizewindows.com/2019/03/what-is-data-as-a-service/.